Click above image for sample issue. 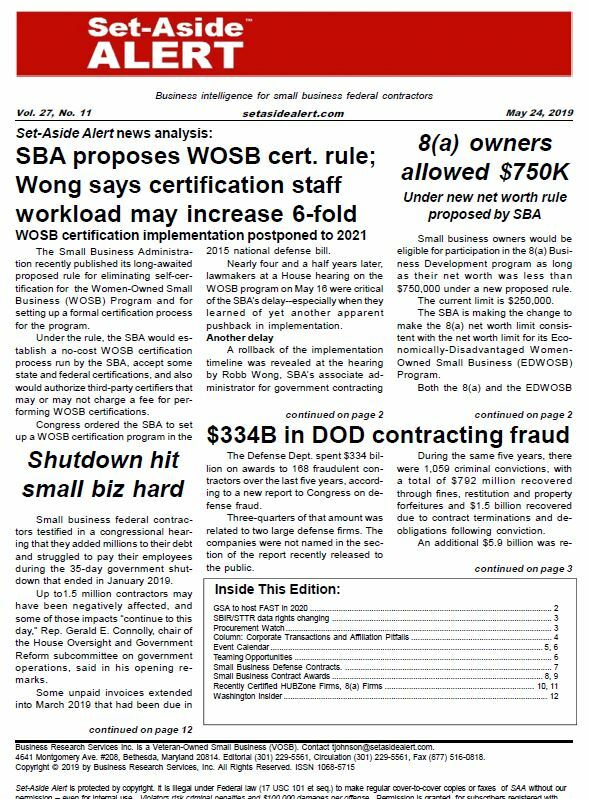 Set-Aside Alert is the premier federal government contract information service, focused on small businesses, minority-owned and women-owned businesses, veteran- and SDV-owned businesses, SBA 8(a)-certified companies and HUBzone businesses. Since 1992, our market intelligence service includes daily e-mail notices of all small business contracting opportunities and biweekly newsletters providing the latest news, insider tips and proven strategies used by successful small businesses. tjohnson@setasidealert.com or call Tom at 301-229-5561.